Final Fantasy XV‘s English voice cast is coming into view as audiences overseas have spotted a short list of characters in the end credits of Kingsglaive. While these characters aren’t prominent in the film, we now know each English actor for Noctis, Gladiolus, Prompto and Ignis. Square Enix has yet to make any formal announcements, so stay tuned. 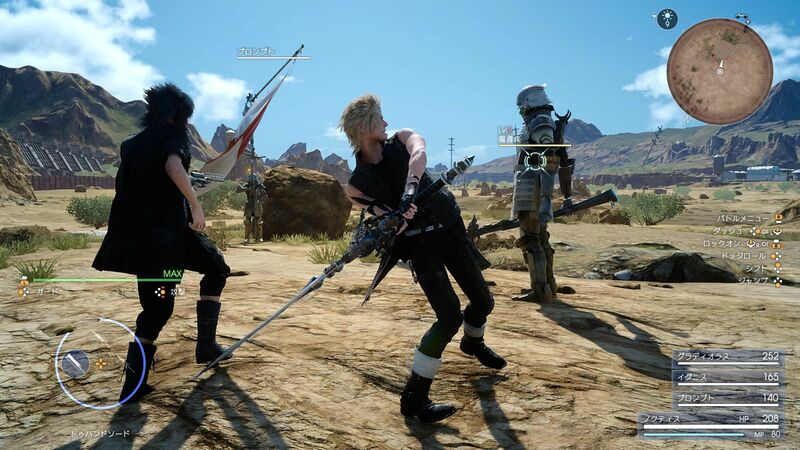 While I’m sure they’ll be the same actors in the game due to how minimal their involvement in the movie is, but who knows, it’s Square Enix, they could have got different voice actors for the movie. I watched the movie, and it’s the same as the game voice actors. Sounded 100% like them (the scene was even in game engine I believe, seeing as how their mouth flaps were out of sync to fit the original Jap audio). Hey there, I’m ShibaRain. I can confirm that these are the game VAs as well, since the clip in question shown is an ingame one, and not Kingsglaive render. If its Ray Chase as the same older Noct of the demos I like his voice. Makes Noctis sound like a badass detective. Are they gonna redo the lips sync like they did 13? Probably will. Most likely didn’t bother redoing the lip sync for the bonus scene since it was minor 1 minute scene. hopefully on the gamescom in a few days. Sorey as Prompto, I like this choice, Prompto is maybe the best voice out of the main cast. Yep, and I can admit I was wrong. And the rest? Like Ravus? So glad it’s not just me! I was starting to think I was going crazy. Feel totally vindicated now. Ray and Robbie at least have a lot of VO experience, though don’t think I remember any of their stuff. Chris I can’t even find on IMDB so maybe this is his first project ever? Adam doesn’t have much VO experience and was by far the worst voice in the demo, so hopefully he’s improved over the year with better direction. Never played it. Last Tales game I played was on gamecube I think. That’s good, wouldn’t want a broken game. someone probably started that rumour to manipulate the company’s stock prices.